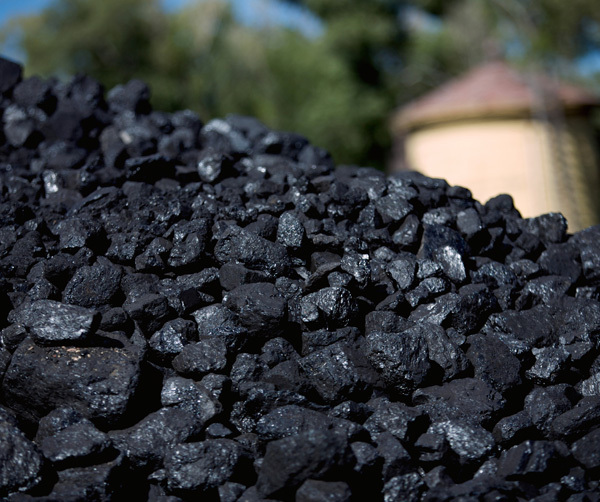 Since CoMate Ash Modifier is engineered to function with all carbonaceous fuels and fuel combinations, it is readily applicable to coal and oil-fired furnaces such as those used commonly at thermal power generating stations. 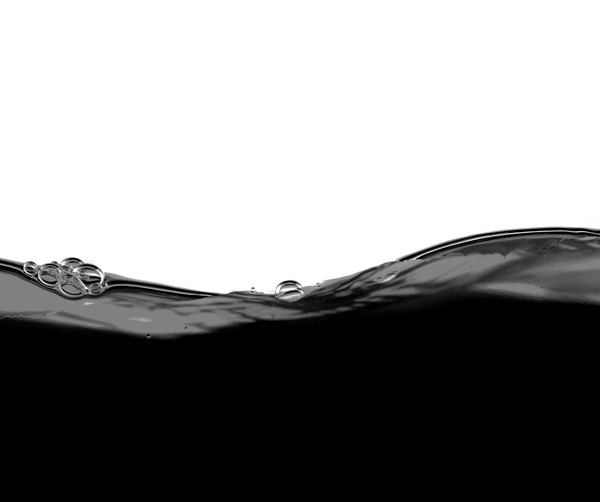 While fossil fuels are not only expensive, they are also not renewable. These two key factors mean that reducing operating costs while also minimizing emissions is a vital goal of the operators of such equipment. With CoMate, you can keep more of your green, while still being green. Below are three graphs showing results we were able to achieve in a 175 MWe power boiler. This utility boiler was struggling with repeated outages due to a bottleneck of build-up in the air heater which would require frequent cleaning in order to maintain boiler operation at desired production levels. 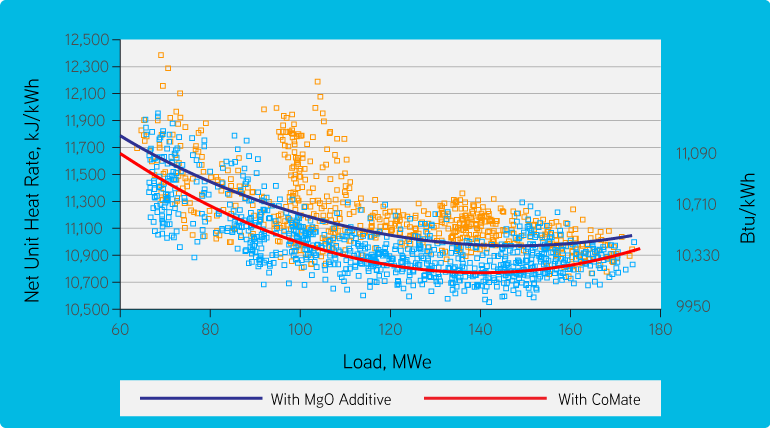 These results were achieved in comparison to the use of an MgO additive in previous years. In addition, no other changes were made to the unit or its operation. 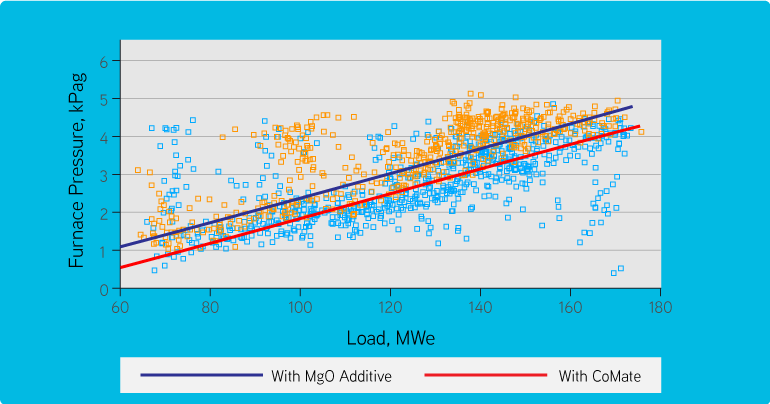 The above graph shows a drop in heat rate across all loads, indicating an average improvement of 2.44%. It is important to note here that, as with all users of CoMate Ash Modifier, no capital investment or mechanical/operational changes to the boiler were required to achieve this remarkable improvement. As is typical with most power boilers, stack temperature is a great indicator for how well the boiler is performing. 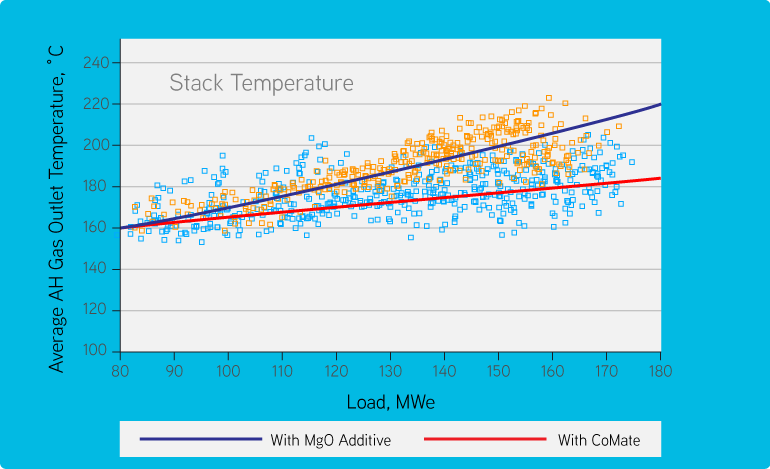 As the load on the boiler was increased, the relative rise in lost heat through the stack was dramatically reduced thanks to CoMate®. With CoMate, not only were air heater outages virtually eliminated, the boiler was able to operate continuously, regardless of load, at significantly lower pressure levels – once again a key fouling indicator improvement. In addition to the above, corresponding improvements in unburned carbon, fuel flow, and opacity are seen in every application where such parameters have been measured.